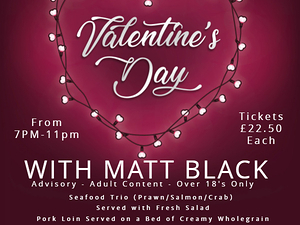 "What's Happening on the Water" Last Saturday, due to high winds the Icebreaker Series had to be cancelled. I would thank all the personnel who turn up to support the race. Hopefully our next racing for this series on Saturday 23 rd the wind will be more suitable. I would ask for volunteers for that day. I need two Assistants and a Skipper for a rib/launch. 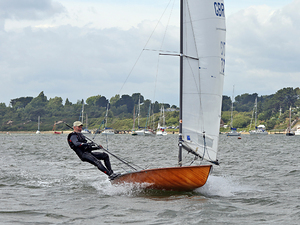 "What's Happening on the Water" Last night was the Scow Class Dinner and Prize Giving for the 2018 Season. Fifty of the fleet sat down to dinner and were treated to a comprehensive history from Paul Moores on how the Scow fleet developed in the early 1970's. The cups and trophies awarded held a significant detailed history of the class. 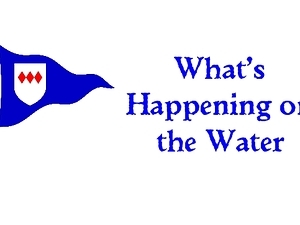 "What's Happening on the Water" The second Icebreaker Series takes place this Saturday, (race 3 and 4.) We have increased the personnel on the Race Officer's launch which will help with the sizable fleet expected. Those who are racing, please make sure you give yourself time to be at the start at 12.00. 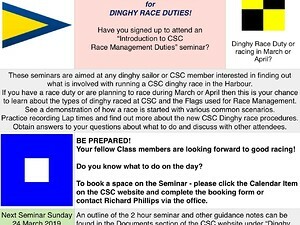 Due to a clash of dates the "Dinghy Race Management Seminar"